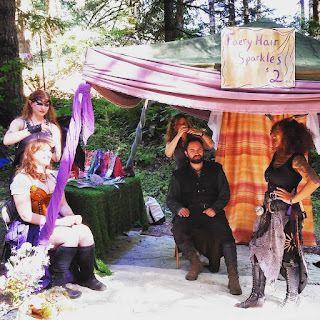 Friday, Sept 8th: 11am-7pm, Faery Hair Friday at the Fernie Brae, 4035 SE Hawthorne, Portland, drop in! Friday, Sept 28th: 11am-7pm, Faery Hair Friday at the Fernie Brae, 4035 SE Hawthorne, Portland, drop in! Faerieworlds was a whirlwind, we learned so much, thanks to everyone who came to get faery hair from us!